Well, kind of week 9-14. Somewhere in there was a two week holiday, but it's just going to get confusing if I stop and start; I'll just include breaks. Plus, let's be honest - I'm never on a break from nail stuff. Nails are me. I am nails. That's just how it is. In summary, the last few weeks have been awesome, although challenging at times. I figured I'd start out with one of the highlights - getting a pedicure from my friend! I've never had one, and it was pure bliss. I've never been too icky about feet, but having this done for me really solidified that pedicures are something I want to offer my clients one day. It's such a relaxing experience, a real treat. I'd love to be able to give that feeling of luxurious pampering to those who come in to see me! We have regular client days now, and I'm happy to say that I already have my own "regulars," booking in for several weeks in advance! I know that this is very important in the industry - ideally I'd like to be able to say I'm booked up for the next year by the same clients. It shows you're doing something right, you become friends with them, plus there's the whole being-able-to-pay-your-rent thing. We've done a LOT of acrylics in the last few weeks. I've been really pushing myself; while normally we just book in one client for the four-hour period we have free, I've been booking in two. Sometimes this works, sometimes it doesn't. It's good at getting the pressure on to get the speed up, but I've been the last one out of the classroom a few times and I feel bad holding the teacher up. I just want to get as much practice as possible! From now on I'll decide if I'll do one or two dependent on the service and the client. I managed to comfortably fit two rebalances in on that time last Thursday, which was good, for me! I know these times aren't anything to brag about, but it's all improving slowly. My first set of liquid and powder acrylic nails took about two and a half hours, now I can usually do it in less than two. It really depends on the client, though. This first set ended up okay, but I absolutely horrified myself by forgetting to put on both the dehydrator and primer on 7 out of 10 nails! Honestly, I just about cried when I realised, it was SO embarrassing and annoying. I have never even come close to doing that before, but a fellow student had borrowed my bottles and I forgot to get them back. Out of sight, out of mind. After checking with the teacher, I continued on with the last three, making sure I used it for those nails, at least. Thank goodness I had used another dehydrator before applying the liquid and powder, that must have helped somewhat as last I heard her nails are lasting well. I did enjoy adding so much length on, it shows a much more dramatic transformation. I'm also trying to cut myself some slack as it was also at the end of a very stressful two weeks, and I think I just had a bit of a brain fade. 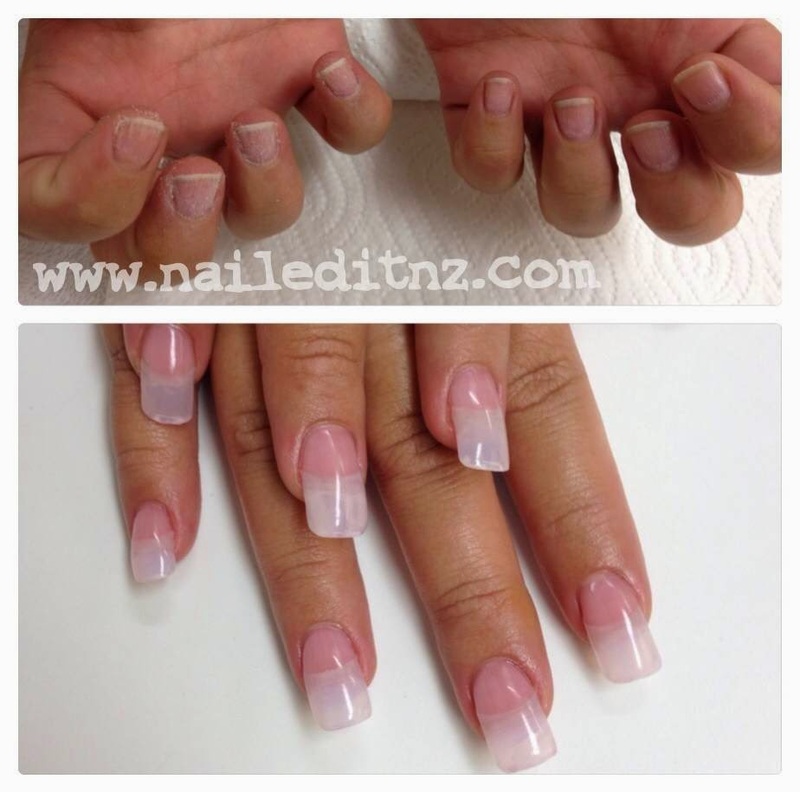 This client was also pretty tricky as her nails were odd widths - it took a long time to find tips that sort-of matched, and then file them to the right shape. Apparently it's the same wherever she goes, which was of some relief. Little nails! I put a coat of clear gel polish over top of these, so she could remove any nail polish she wanted to put on and not have to worry about it staining her acrylics underneath. 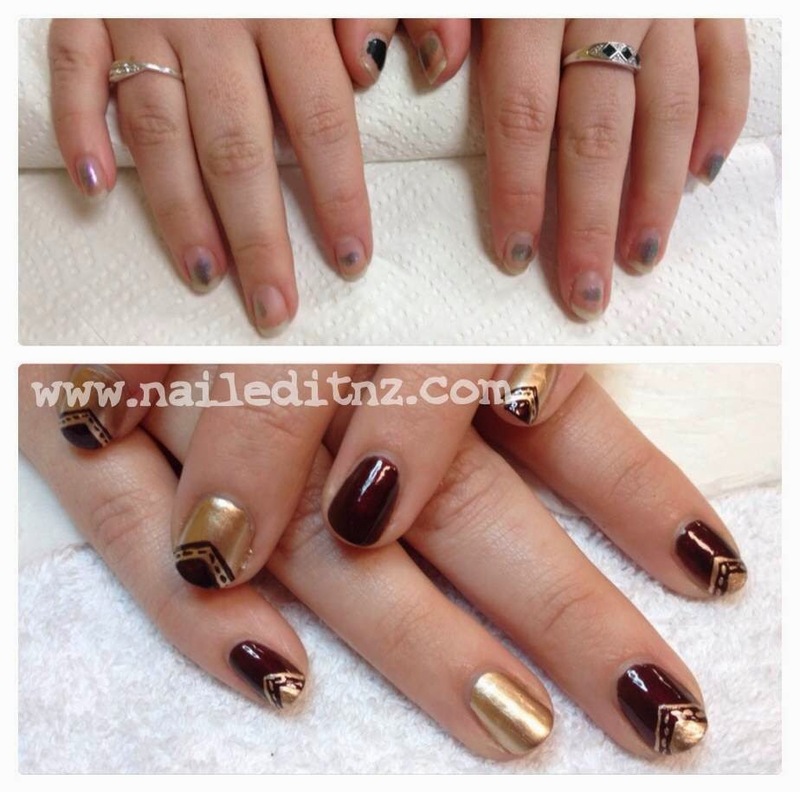 These ones were done on my friend Dale, who I've done plenty of nail art on before! This was my first day trying out the white tips, and I just loved them. So clean and pretty. She was a pretty easy client, and it always is more relaxing when you know the person. In saying that... I've met some awesome clients that I never knew before! They really can make your day! These nails I did on a girl in my class, Pamela. I was hoping to do some nail art on them too, but we ran out of time :(. 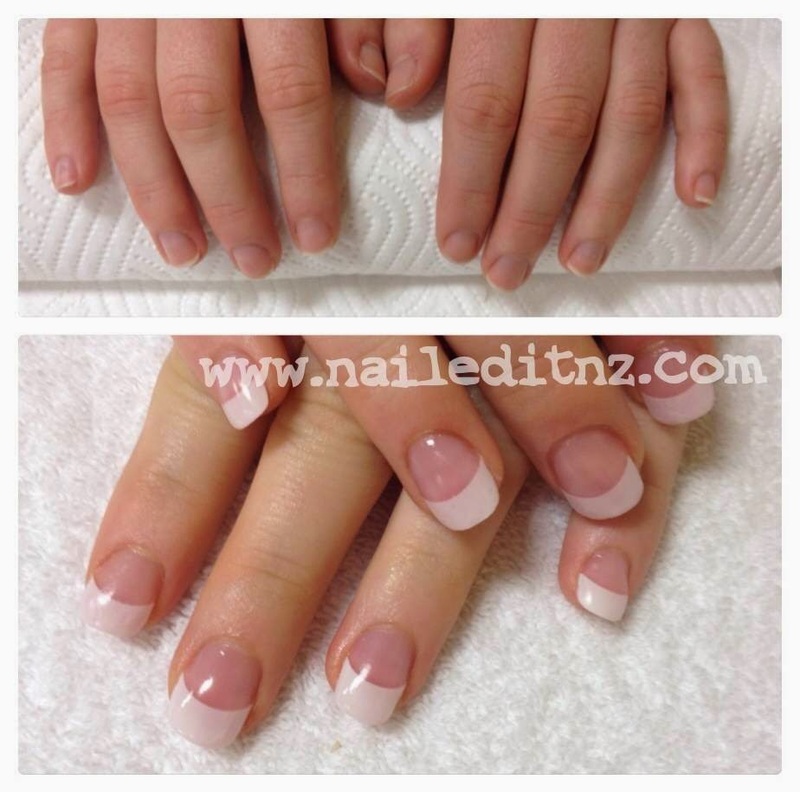 They were my very first set of white-tipped acrylics, plus it was only the first or second week back and I was out of practice - I was a bit embarrassed by how much filing I had to do on some of these nails! Our course is all about sculpting with the brush, which saves a lot of time. They're lasting well though, last I heard! These ones were done on another friend, Zeta. 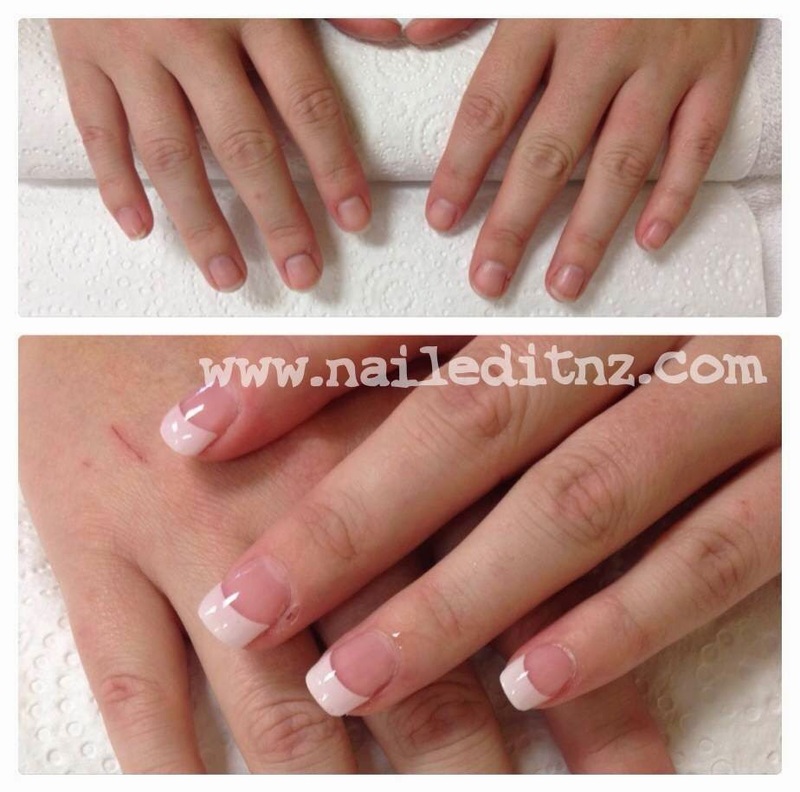 She has nice natural nails and cuticles, so it was quite easy to do these - and they stayed on so well, too! I guess I don't have much to compare them too right now, but only one was lifting by the time she came back in for a rebalance two weeks later (and she works in hairdressing so I didn't expect that!). 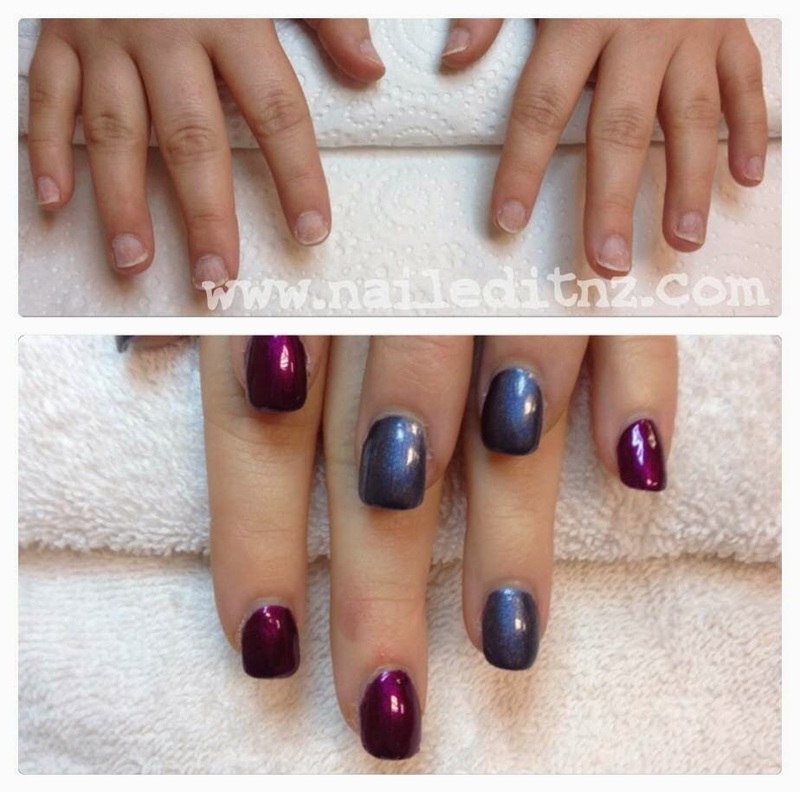 Looking at these photos, though, I need to practice getting closer to the cuticle with the polish. I might start bringing my angled brush to course so I can risk going closer and simply clean up any mess I make. And as you can probably see, here we have Zeta's nails rebalanced. We've had a play-around with gels in the last week or two, and so we used them on her. 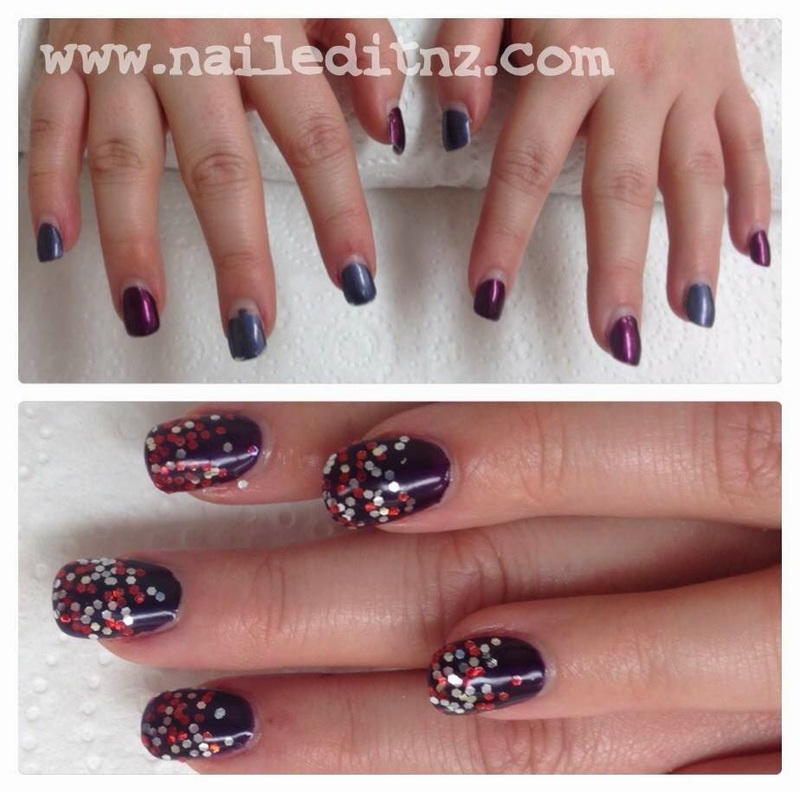 Pretty red and silver glitter gradient on a dark purple base - love it! 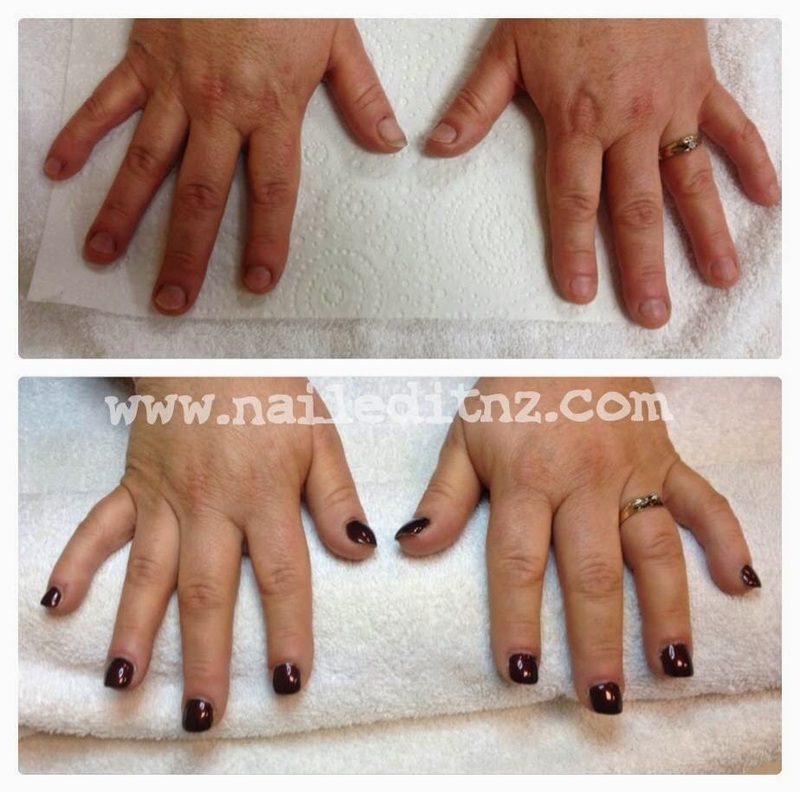 We're booking her in weekly for a change in design, and a rebalance every second or third week. I get so excited when I get to delve into art! Sometimes we have client days that are just for manicures, and here's one I did! Yay, nail art! The design I did below I did at home on a friend - she does the beauty course and gave me a lovely facial and backrub, and I did these for her in return. And yes, they took ages, haha. They lasted really well though, only a couple of small chips a week in! 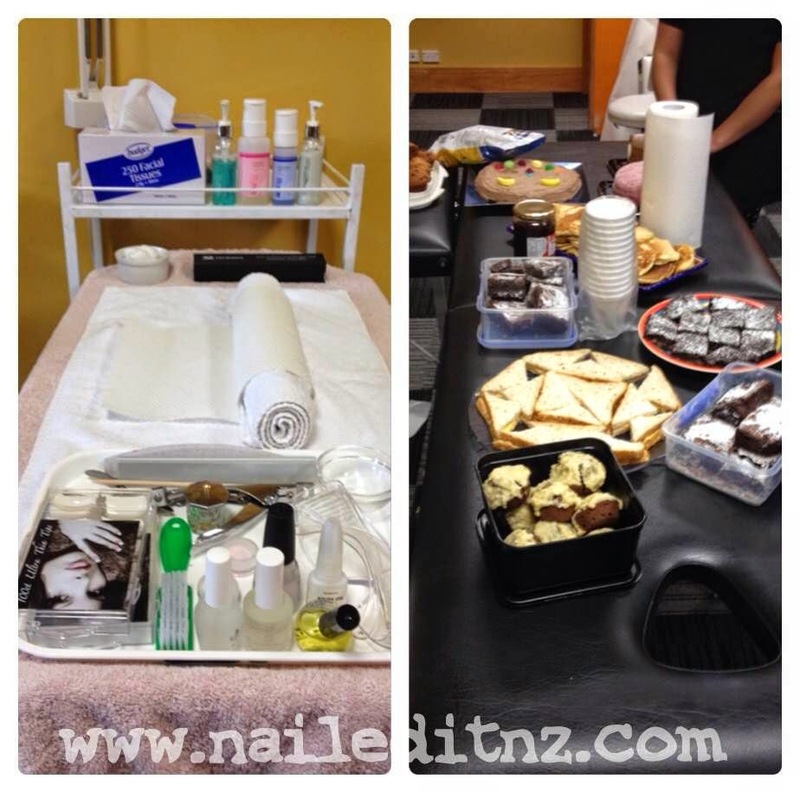 Below are just a couple of snaps from the first couple of weeks back - an acrylic nails setup and more importantly, shared lunch!! It was so good, and I ate so much bad food, and I repeat, SO good! On a bit of a side note, my dad's an engineer. Over the holidays I worked a couple of days for him on a job that was just a waste of time for him to do. It consisted of putting a bar in a machine, pushing start and then waiting 10 minutes for it to be done. 10 minutes is a really annoying gap for him, but it worked really well for me! I managed to get my assignment that I had been putting off done, while getting paid! 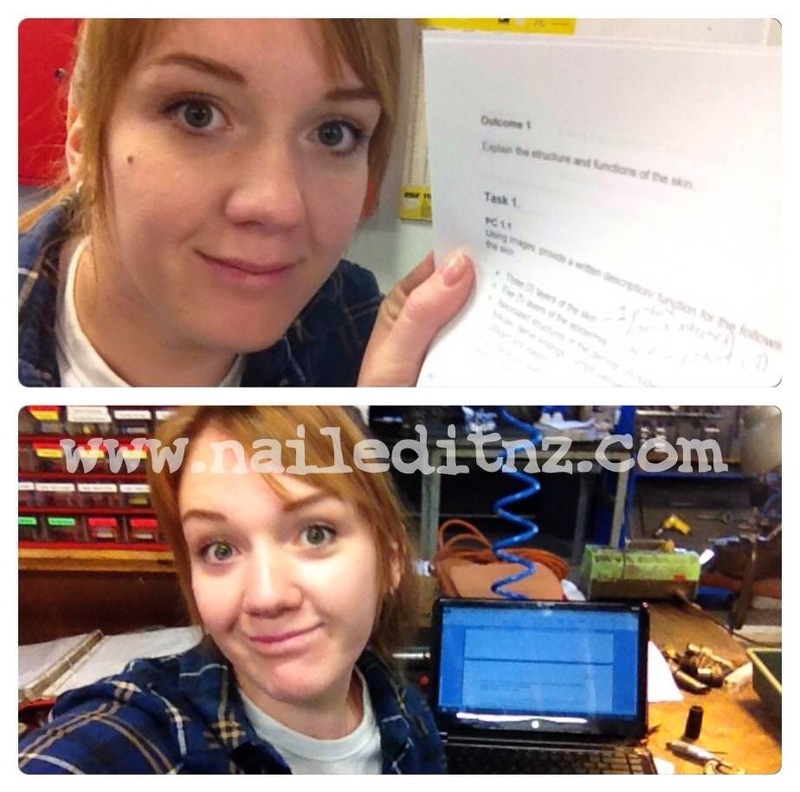 I thought it looked a bit out of place though, nails in an engineering :). 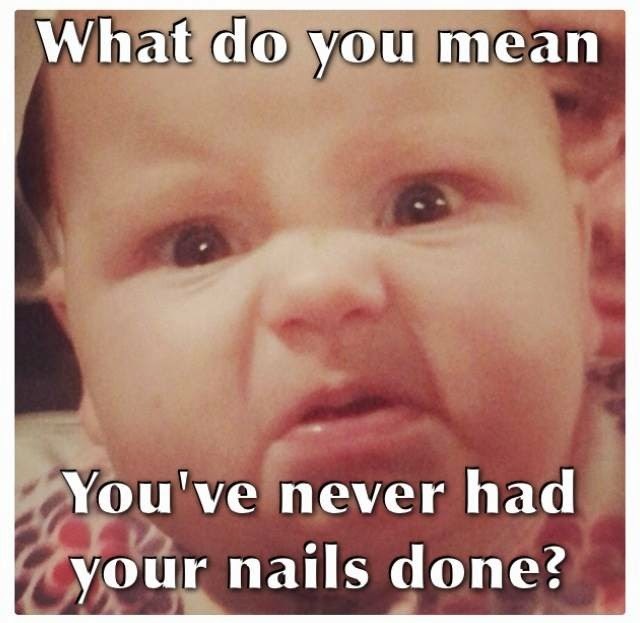 Lastly, a fellow polish addict shared this picture of her baby with us, and I couldn't help but make a bunch of memes out of it! These two seem quite relevant to today's post, so enjoy! 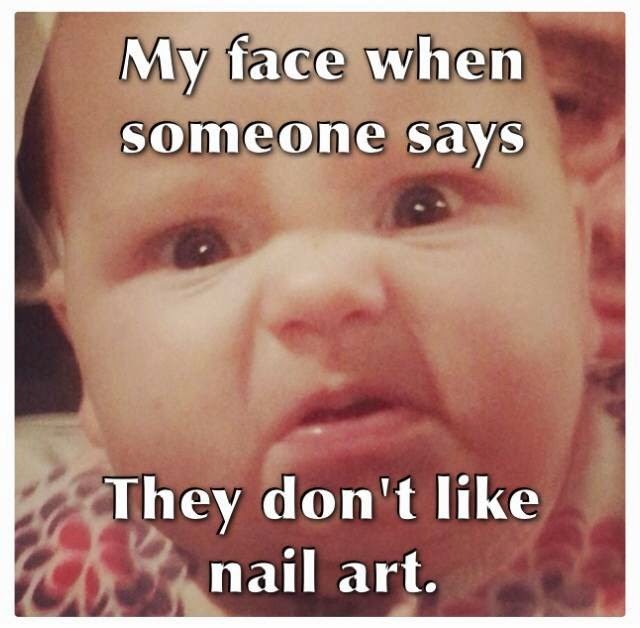 Yep, I've had offers of nail art politely declined... WHAT?! 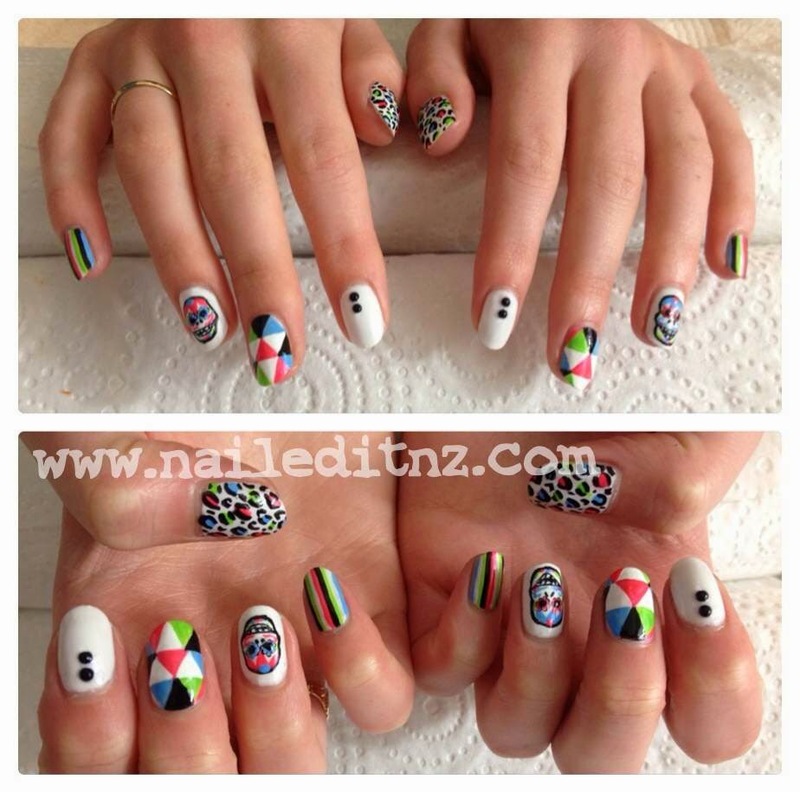 Sometimes nail school is stressful. Assignments, clients, trying to get things done on time. Planning for the future. Sometimes you're really struggling to find something in common with the person you're working on, sometimes everything goes wrong, and sometimes you're just a big ball of nerves. I'm that last one a lot, especially with clients I don't know. But I keep reminding myself that I'm just at the start of my journey. It's meant to be hard right now. If I keep turning up to class and challenging myself at every opportunity, I will one day be the confident, capable and highly sought-after nail stylist I want to be. Hope you enjoyed reading this update, let me know if you have any questions! Great update and I love seeing all the work you've done on your clients.